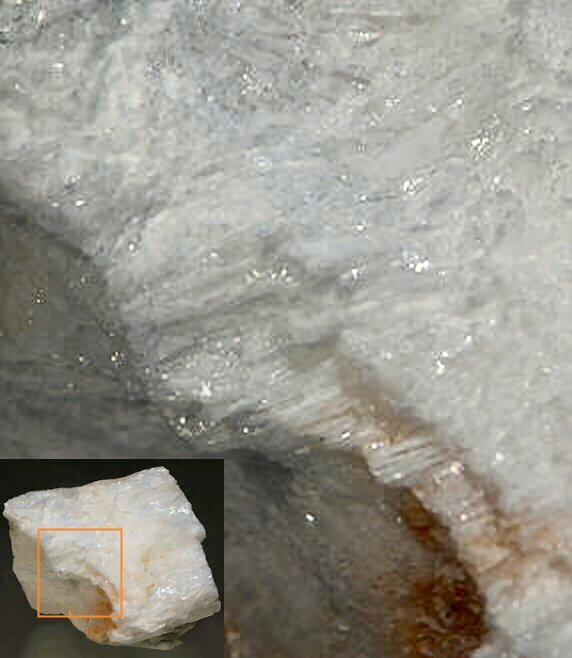 Comments: Aggregate of white, elongated crystals of ameghinite. Location: Tincalayu Mine, Salta, Argentina. Scale: Specimen Size 1.5 x 1.5 x 1.5 cm.